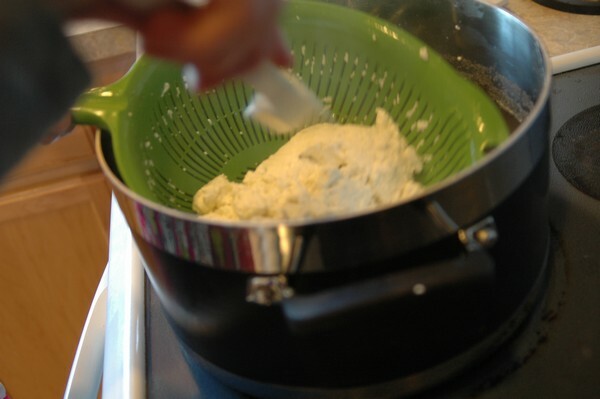 Making Homemade Mozzarella cheese was way easier than I thought it was going to be! 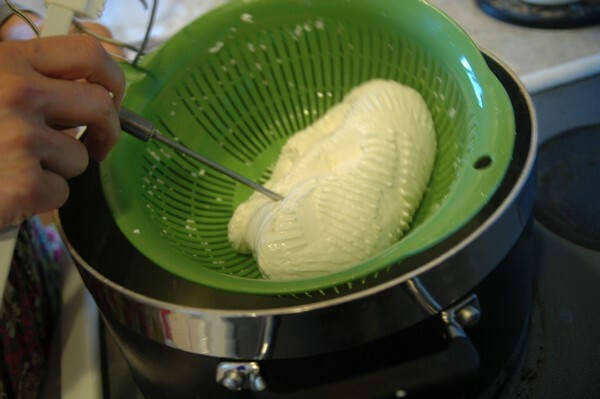 It only took around 30 minutes to turn one $2.36 gallon of milk into a pound of fresh mozzarella. It’s been a dream of mine to make homemade cheese for a really long time and I’m so excited to finally be making it. I love cheese. Parmesan, Cheddar, Gryure, Swiss, Provolone, and Muenster – they melt my heart. And just in case you are wondering, yes I am one of those people at the Olive Garden who make the server grate the Parmesan cheese uncomfortably too long. 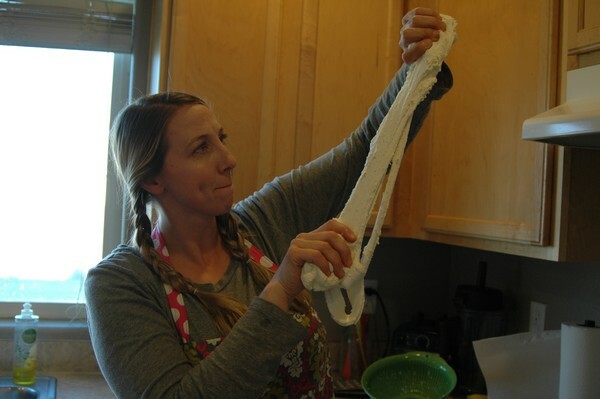 I decided to start my cheese making journey by making homemade mozzarella cheese because I heard that it is perfect for beginners. Have you read the Little House on the Prairie books? I remember recently reading a chapter where Laura was talking about her mother making cheese. To make their cheese Laura’s father had to find a small male calf who hadn’t eaten anything but his mothers milk yet and slaughter it. The reason for this is because the enzyme called “rennet” (which is critical for cheese making) is found in the calf’s stomach. In the story, they used the male calf because the female calves could be used later for reproduction, so the male had to be slaughtered. Lucky for us now-a-days we don’t have to slaughter adorable little calves to get rennet. Rennet is now available in stores and is made from plant extracts. In fact, did you know you can get rennet from stinging nettle? Yep, it’s true. However I don’t think I will be growing it at my house any time soon. From what I have read the discovery of animal rennet & cheese was an accident. Central Asian nomads, and Bedouins living in Syria, Lebanon and Iraq, once decided to store milk in a clean stomach of a slaughtered sheep sewn shut on one end. They discovered that after they carried milk for a time in the stomach, it would curdle and the result was cheese. Cheese has been around a long time including in the Bible. In 2 Samuel 17:29 David escaped across the River Jordan, and presented ten different kinds of cheese to the captain of the army drawn up to do battle with Saul. How cool is that? 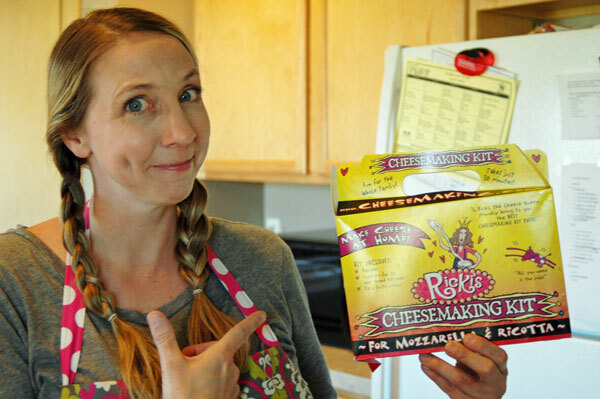 I decided to try out a cheese making kit so I purchased Ricki’s Cheese Making Kit from Amazon.com which included everything I needed but the milk. I think it was a great kit for beginners and there is enough rennet tablets/citric acid included to make up to 30 pounds of cheese!! 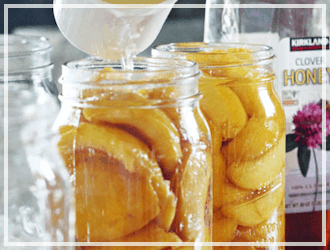 First thing you will want to do is mix 1 1/2 teaspoons of citric acid into 1/4 cup of water. Then add the citric acid & water mix to a large pot. Next pour in your gallon of milk. Start mixing right away. 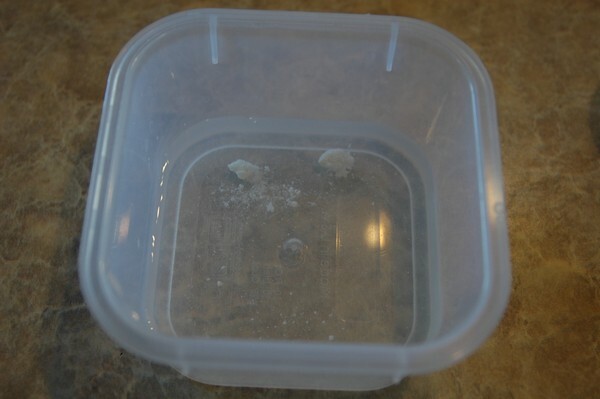 While that is heating up, mix 1/4 of a rennet tablet with 1 cup of water. Dissolve it as best you can. 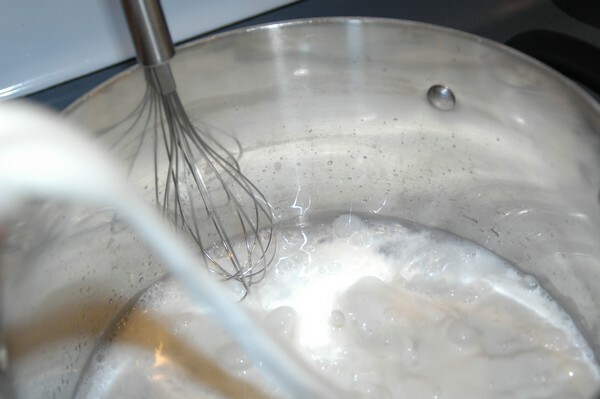 When the mixture reaches 90 degrees, take it off the heat and stir in the rennet mixture with a gentle up and down motion for 30 seconds. Then put the lid on the pot and don’t move it for 5 minutes. Walk away and don’t touch the pan for those 5 minutes. Sometimes it can take up to 10 minutes as well. 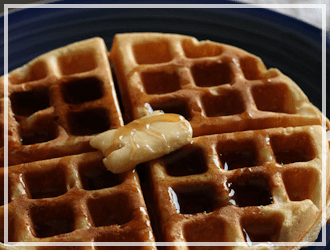 With a knife or spatula long enough to reach the bottom of the pot, cut the curd into a 1-inch checkerboard pattern, making lines across, then lines in the other direction. 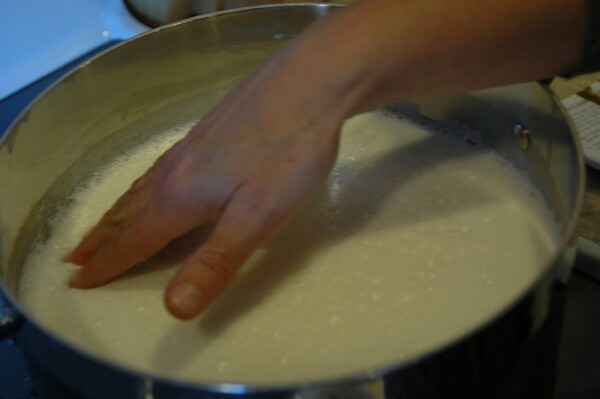 Return the pot to the the burner over medium heat and stir it gently until the temperature of the whey (the liquid that separates from the curd) reaches 105 degrees. If you are going to use a microwave stop the heat here and proceed to next stage. 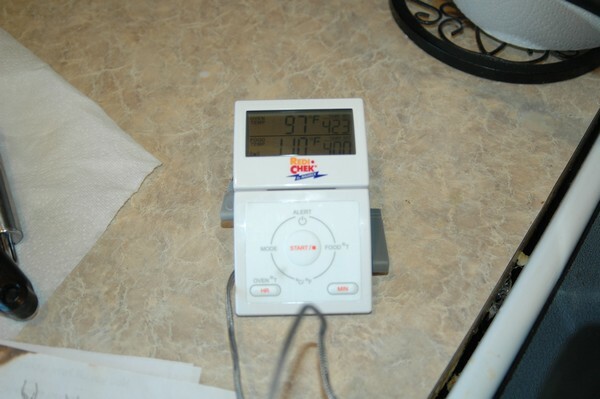 If you are using the stovetop method keep on heating to 110 degrees. 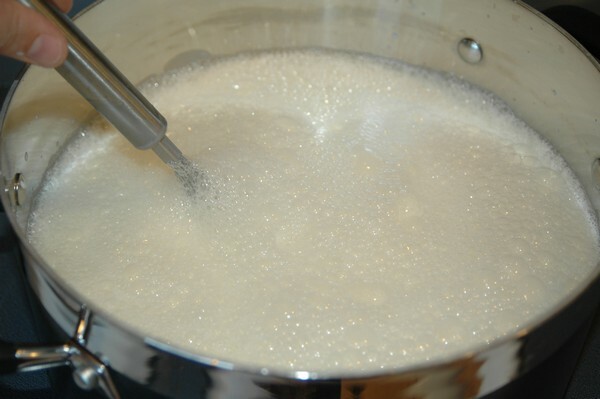 You will also need a pot of boiling hot water for this next stage so start that pot to boil now. 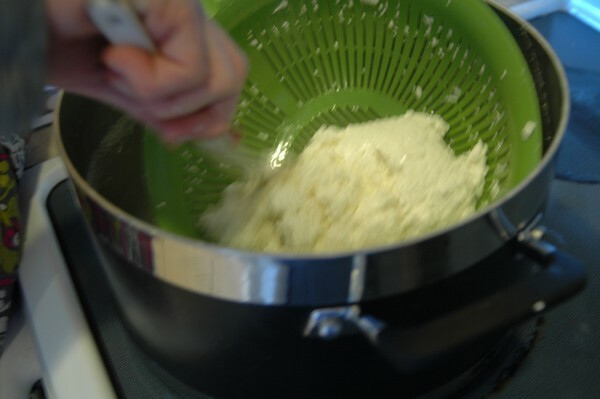 At this stage you can use a slotted spoon to remove the curds from the whey. 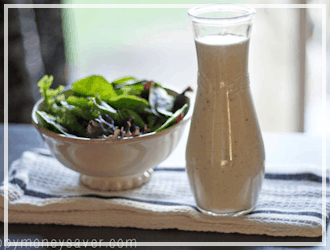 You can save the leftover whey and use it in bread making or in smoothies (this stuff is full of protein apparently…). 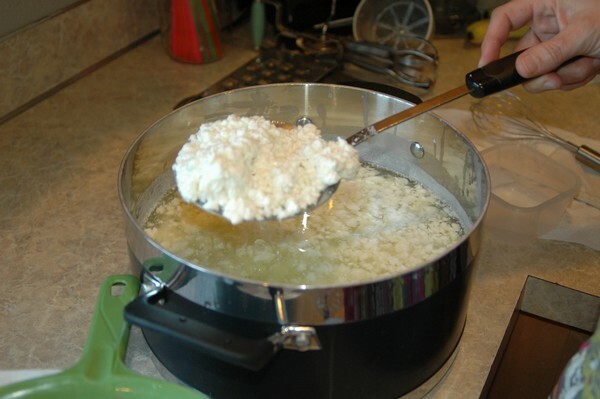 If you have a microwave you can take the curds at 105 degrees, place them in a microwave safe bowl and cook for 1 minute, then drain off the whey, microwave it for 30 seconds, drain off whey and micro it for 30 seconds one more time. Add in your salt and stretch it. 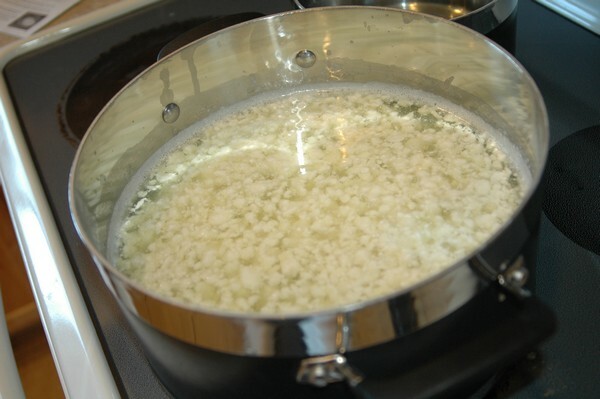 If you are using the stovetop method take your curds over to a pot of boiling water, and dip it in the boiling water a few times tossing it around with your spatula. Then when it looks like it’s coming together (or reaches 135 degrees temp inside the cheese) it’s time to take it out, add salt, and stretch it like taffy till its shiny and smooth. 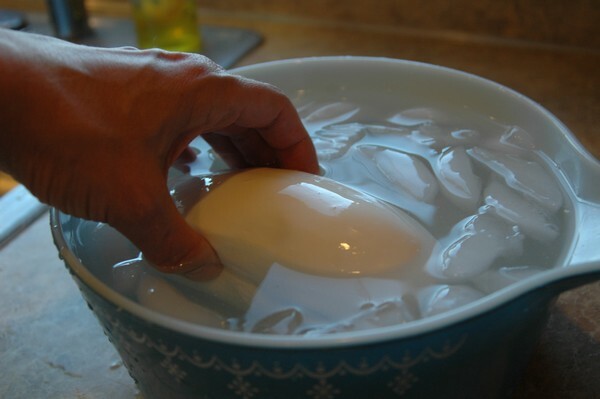 Knead it into a ball or loaf and add to a bowl of ice water to cool it down. 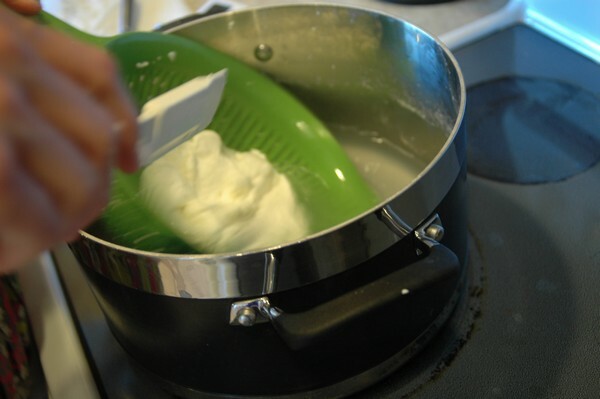 You will get a little bit over a whole pound of fresh mozzarella cheese from a gallon of milk. I paid $2.36 for my gallon of milk. 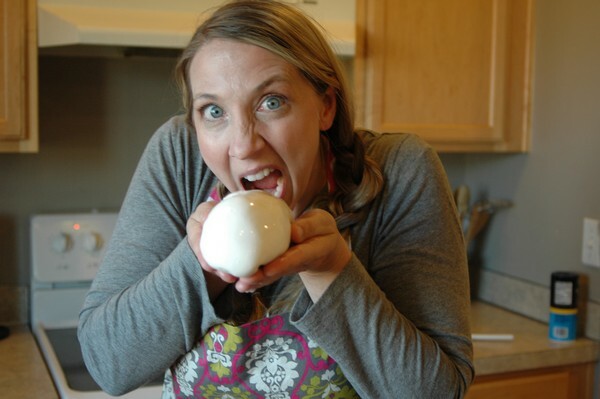 And lastly enjoy your homemade mozzarella cheese. My first batch lasted a whole of 10 minutes before it was all devoured by myself and family. We ate it on toast with some basil pesto and it was heavenly. WORTH THE COST? 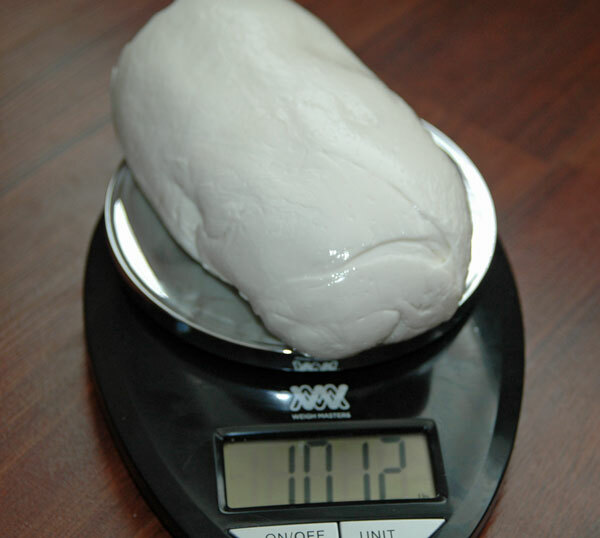 YES – only costs $3.19 per pound by making yourself vs. $3.75 each at Costco for fresh mozzarella. WORTH THE TIME? 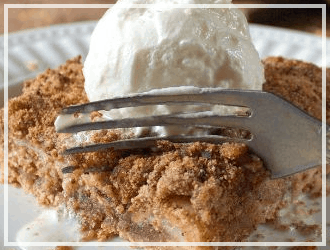 Although it is really quick to make, you are saving $0.56 for 30 minutes to an hour of your time. 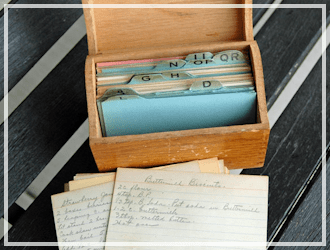 If you love doing projects and have lots of free time this can be a lot of fun and a great way to learn how to do things yourself, but if not it’s probably not worth the time. Final cost per mozzarella lb: $3.19 per lb. 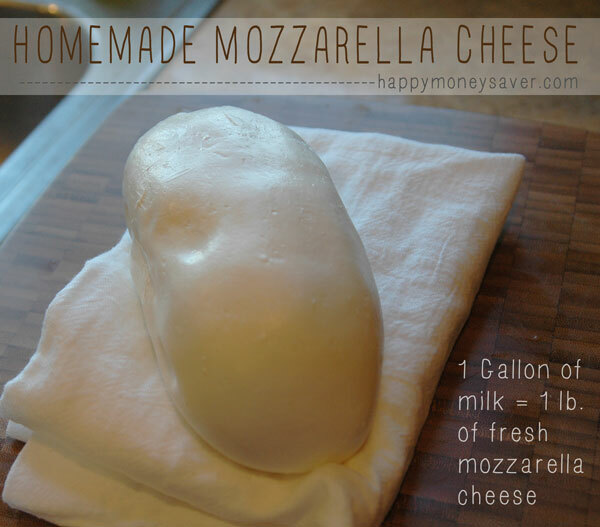 At Costco you can buy 2 lbs of fresh mozzarella for $7.49 (or $3.75 each) So it is a better deal to make it yourself! And that’s it! 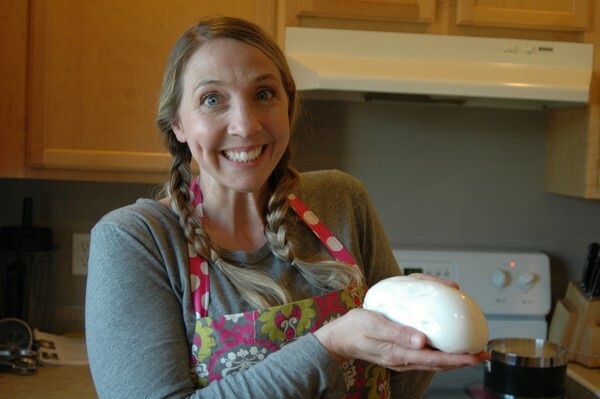 Homemade Mozzarella cheese was so quick and easy to make, I can’t believe I haven’t taken the time to make this all these years. I hope you all enjoy making cheese too. 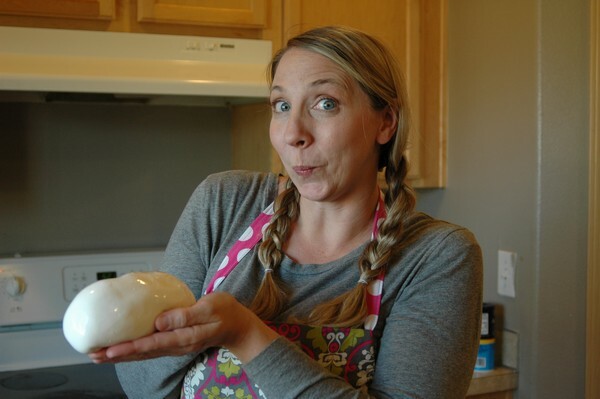 Making mozzarella cheese is really easy! 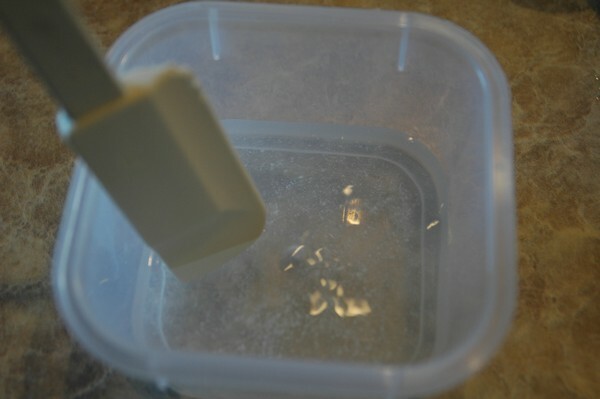 Mix 1 1/2 teaspoons of citric acid into 1/4 cup of water. 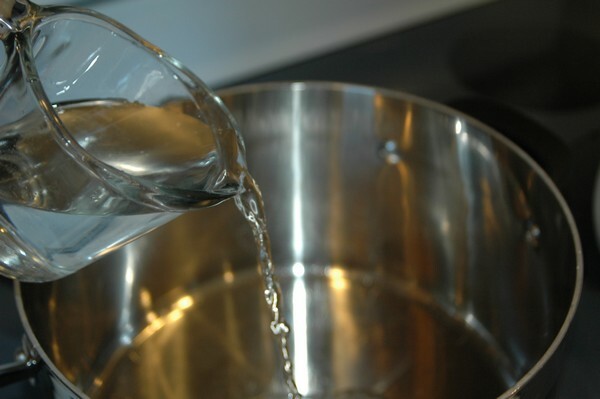 Then add the citric acid & water mix to a large pot. 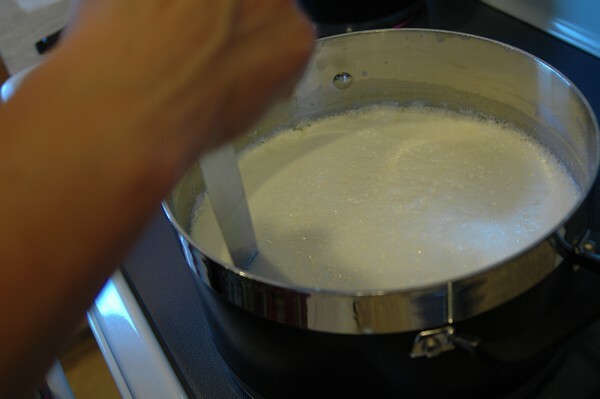 Pour your gallon of milk in and start mixing right away. 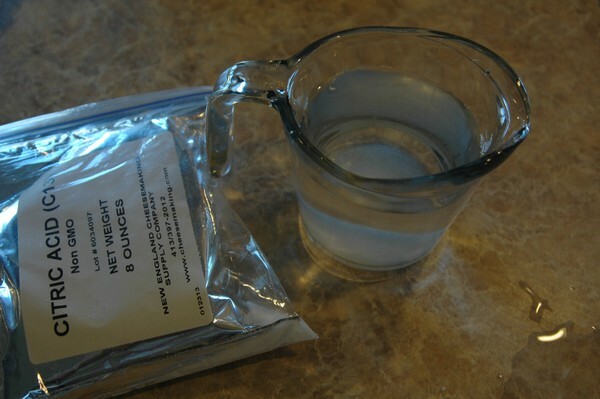 While that is heating up, mix 1/4 of a rennet tablet with 1 cup of water. With a spatula long enough to reach the bottom of the pot (we used an offset spatula), cut the curd into a 1-inch checkerboard pattern, making lines across, then lines in the other direction. 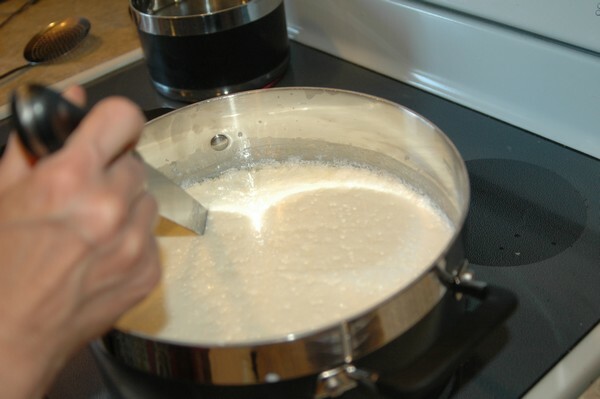 Return the pot to the the burner over medium heat and stir it gently until the temperature of the whey (the liquid that separates from the curd) reaches 105 degrees if you are going to use a microwave to heat it after this stage. I will be using the stove top method so I heated mine to 110 degrees. I also started another pot with water to boil. Then when it looks like it’s coming together it’s time to take it out, add salt, and stretch it like taffy till its shiny and smooth. 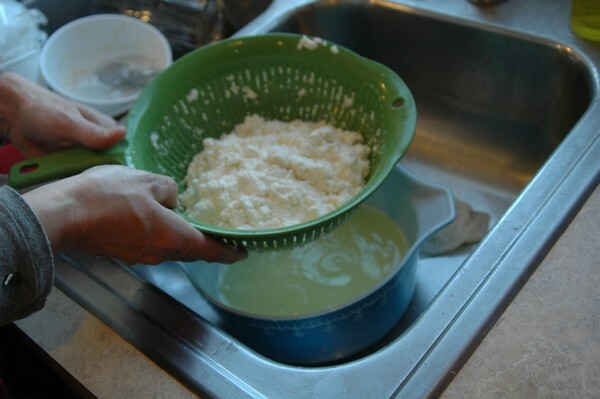 use a slotted spoon to remove the curds from the whey. 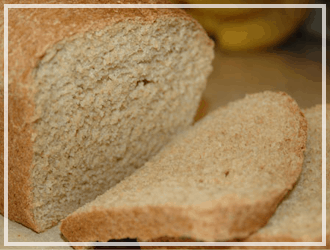 Knead it into a ball or loaf and add to a bowl of ice water to cool it down for 10 minutes. Then wrap in saran wrap and use within a week. Note: There was a giveaway on this post, but it has ended now. Winners were emailed. Thank you! It doesn’t save money or time. The cost of kitchen tools (pot, spatula, strainer, thermometer), rennet and citric acid also have not been included in price break down. 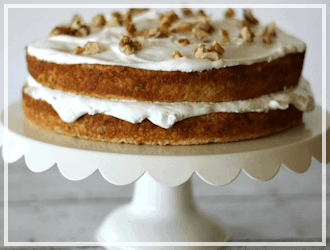 Bottom line: it tastes better homemade, but it’s not cheaper. 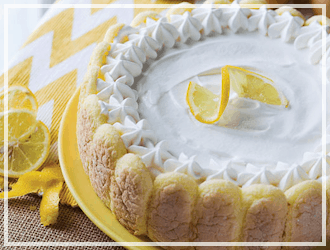 4 cups cream 4 grams (scant 1 tsp) Lemon juice. heat cream to 85C/185F add lemon juice cook stirring constantly 5 min Pour into sieve lined with a sack cloth or cheese cloth (tripe layer) set over a bowl. refrigerate at least 8 hrs (I do 12 hrs pull cloth out of sieve with the cheese and scrape off of the cloth into a container. I am the same way! Love my cheese, I’m picker than you though. I’ve been wanting to start making my own, so thanks for this. How come with other cheeses (like Farmers cheese for example), you don’t need rennet tablets and for mozzarella, it’s required? 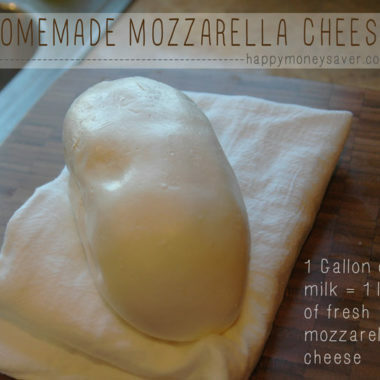 My husband is loving mozzarella so it’ll definitely be a winner, once I start making it. You should probably edit this, because milk is NOT $2.36. You must be very lucky for milk at that price. I called my dad, who sold milk for decades, and I worked at his distributing company for a while. That’s what has me really scrutinizing this. I could swear that this was about what he was paying to get the milk WHOLESALE, so he could redistribute it. He said he has no idea how they’re making a profit selling it at that price. Milk is $4 where I live. 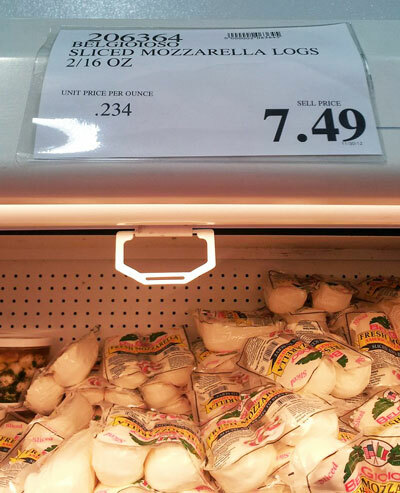 Of course, $5/ lbs of fresh mozza is still a good deal, but it’s not nearly the deal you’re making it out to be here.